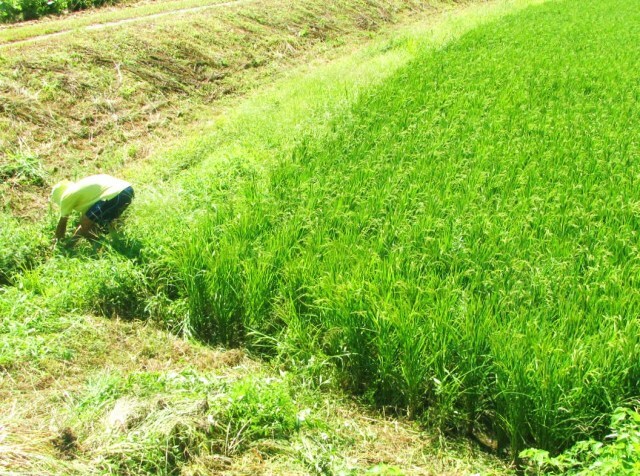 As for fertirizers, he uses only organic manures for special cultivated rice. 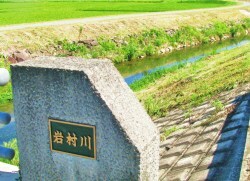 As for water, he takes the water of a branch river of Riv.Kikuchi, "Riv.Iwamura". 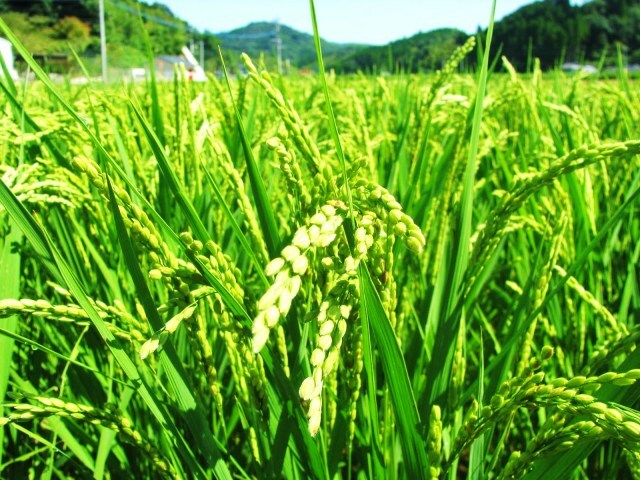 The rice field is around a place scenic beauty near which is followed by "Hirayama Hot Spring". 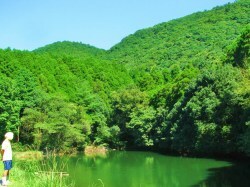 The largest feature of the cultivation might be "scarecrow". 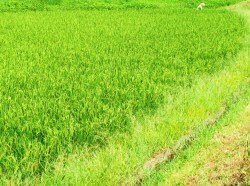 As you see, as much as around 60 scarecrows surrond a rice-field. 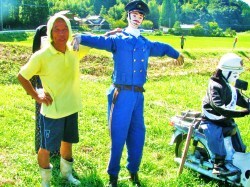 As you can understand by English, the aim of scarecrow is "avoiding crows". 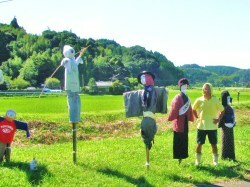 Although it is a making the scarecrow which is "stimulating their town" and is recommended, Thanks to it, there should be few birds and beasts damage because they are "feeling too sick" without question about it. 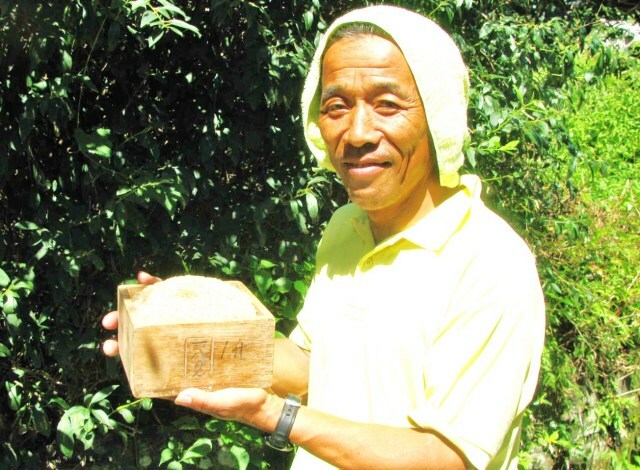 In addition, physical strength of the producer "Mr.Takuma-Araki" is not ordinary. 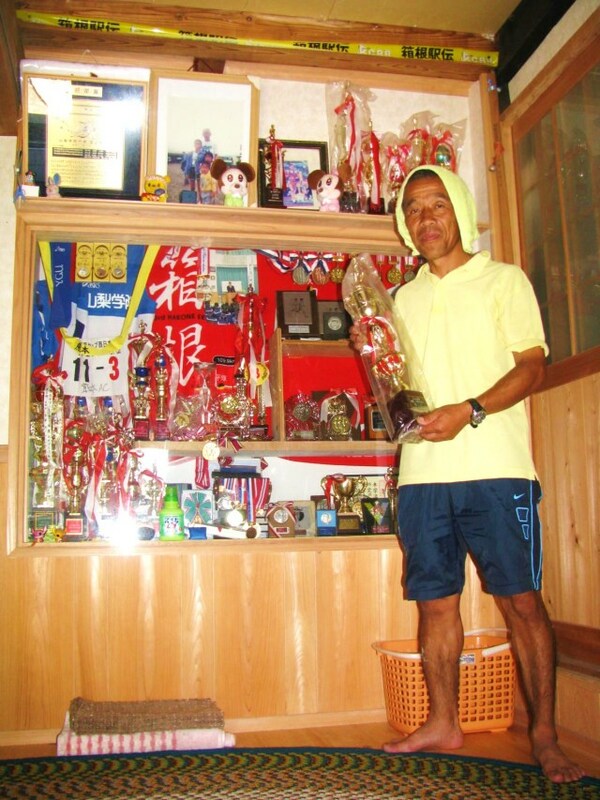 He repeats higher winning prizes in the Kumamoto citizen's athletic meetings as a long-distance player from youth, he is responsible for caring the long-distance players of his local junior high school specially as of today, too. 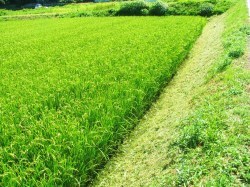 As you see, isn't it the weed which was mowed without using the weed killer, and the rice field cared for well? 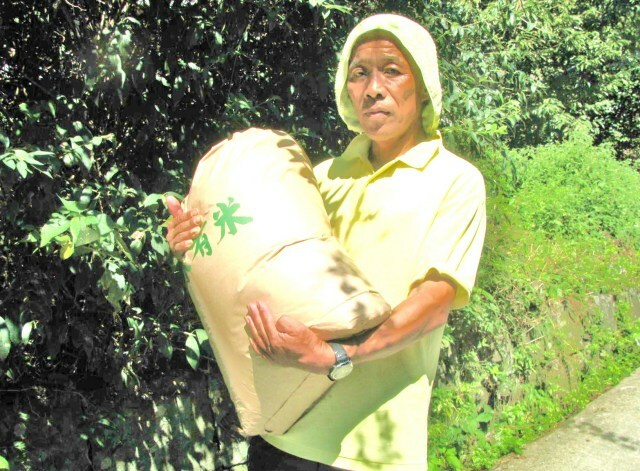 He puts his heart and soul into organic farming by his physical strength as for the agriculture while he is a Chairperson of the town and an agriculture councillor. 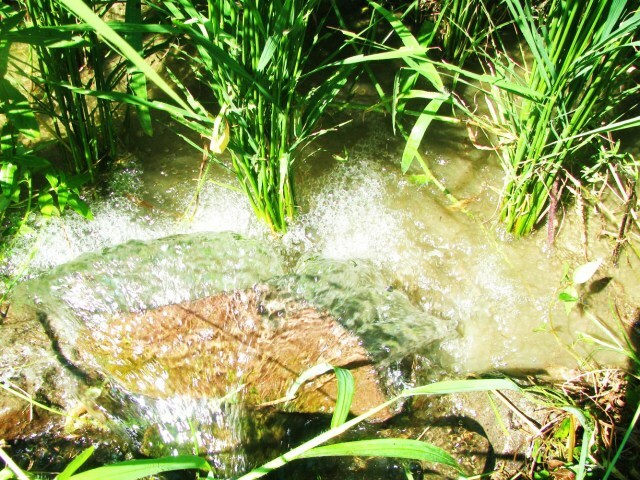 These are such wonderful rices. Anyway, please have a shopping in this chance.